On February 20, 1980, Joseph Banks Rhine of Durham, a controversial investigator into the paranormal, died. 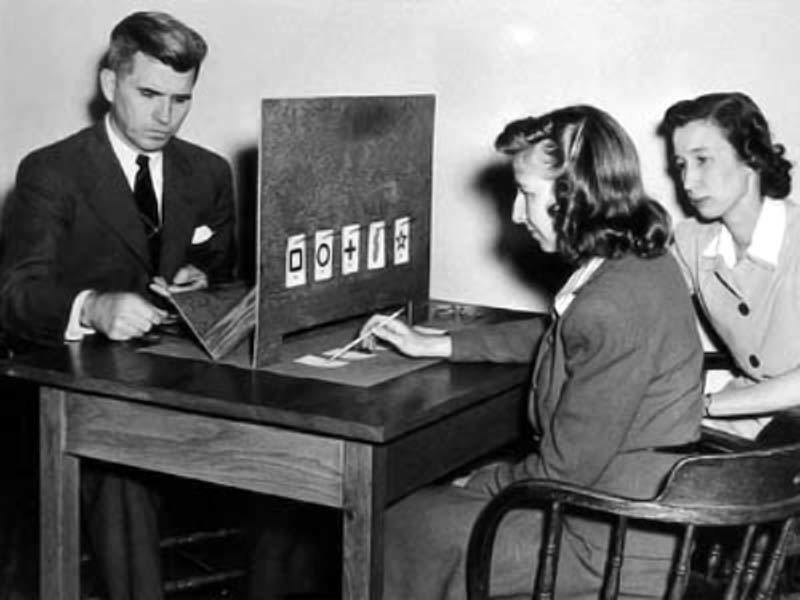 Rhine, with his pioneering work in parapsychology, gained national notoriety for himself and Duke University, where he worked. Born in Pennsylvania in 1895, Rhine received a doctorate in botany from the University of Chicago. He moved to Duke University in 1927 where he began conducting predictive experiments with students. The most common test involved the use of 25 cards bearing one of five symbols. The subject was asked to identify cards that had been preselected, in another room or at a greater distance. In 1934, Rhine published Extra-Sensory Perception and coined the term (ESP) that later gained wide acceptance. In 1965, Rhine and his wife Louisa cut their ties with Duke and established off-campus the Foundation for Research on the Nature of Man, known today the Rhine Research Center. Rhine always had his detractors—skeptics—and his work never gained acceptance by the scientific community. Though many were keen to challenge him, others have credited him with synthesizing the research of his predecessors and advancing a field of inquiry.